ELLE Canada wants to know which magazine cover you want to see on its December 2015 issue! 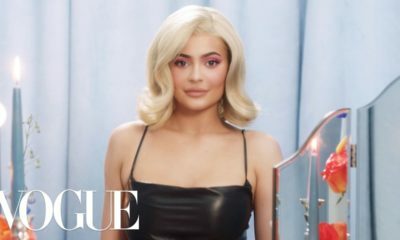 Featuring reality TV star and beauty enthusiast, Kylie Jenner, the publication released 2 covers with the star showcasing photographs by Max Abadian. And they want you to pick which one you would like to see on the stands in December. …and the 2nd cover shows Kylie in another bedazzled outfit also by the Lebanese designer, and is currently in the lead. Tell us, which cover would you like to see hit the newsstands. Cast your vote HERE. The votes close this Friday 16th October 2015. Watch the Season Finale of Close Up’s #ILoveNigeria Game Show! How about None??? Jk but I just can’t get pass her plastic face period!!! Wetin concern Agberu & Overload? Elle help yourself. Is this what young girls aspire to? 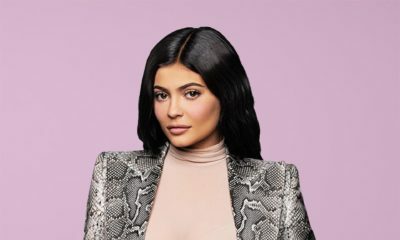 To look older than your years and like a plastic surgery fan? No sa.